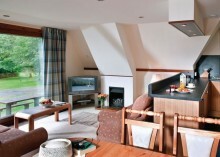 The Park is situated on the beautiful water-side location of Loch Oich and Loch Lochy in the midst of the Great Glen. 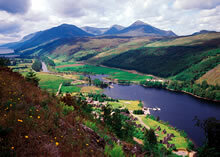 It is a perfect base for exploring and enjoying the majestic Highland landscapes. The adventurous holiday makers have a wealth of outdoor activities available on-site and locally. We have daily on site staff. The minimum stay is 3 nights. There is a choice of 2 bed-roomed lodges to a 5 bed-roomed luxury home with hot tub for you to enjoy. The Great Glen Water Park has a Restaurant, Coffee Shop, Bar and Swimming Pool, Sauna. At the Park there are various water-based activities from fishing at your door step to white water rafting, water ski-ing, canoeing or simply hiring a day boat for a gentle cruise on the Loch. From the Great Glen Water Park you can enjoy some of the most breathtakingly spectacular scenery in Scotland. 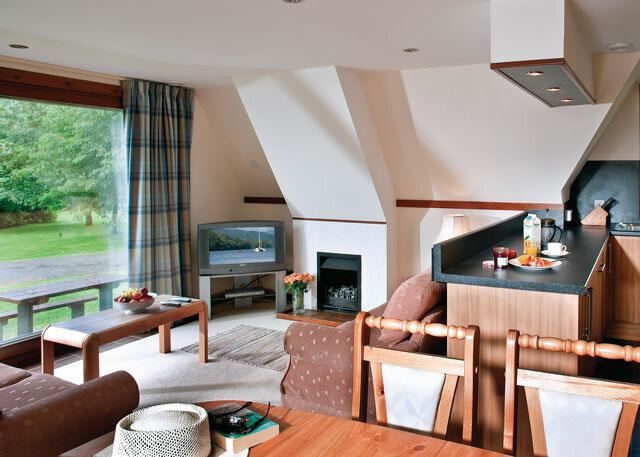 You can do as little, or as much as you like – relax, unwind and read a book by the fireside; gaze across the loch to the snow peaks of Ben Tee and watch the boats go past; or for the more energetic, take advantage of the many activities available on site. Revitalise yourself at the Great Glen Water Park in the idyllic setting of the Great Glen Highland Lochs.